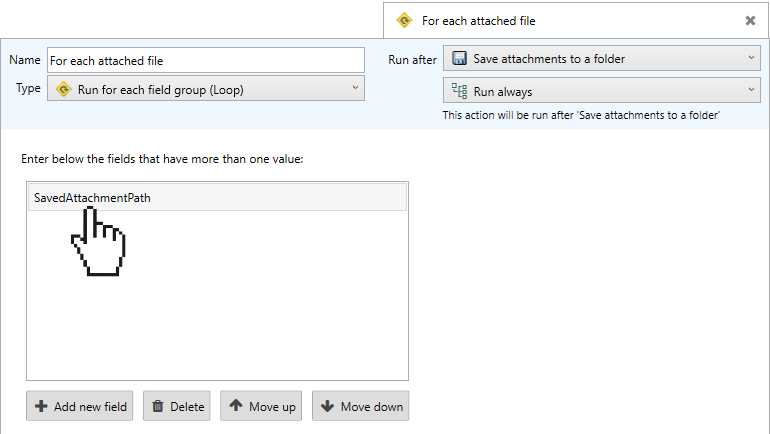 These are the settings of the item “Save attachments to a folder”. 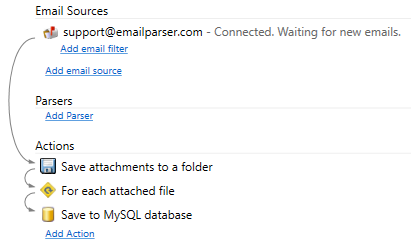 As you can see, we just have to enter a folder where Email Parser will save the attached files. Notice the use of <%SavedAttachmentPath%> within the SQL sentence. 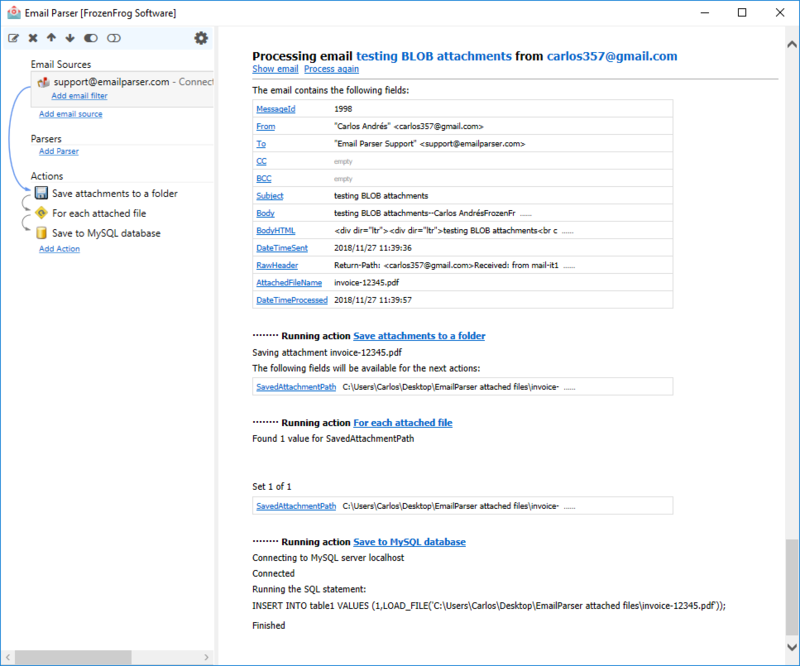 When this item is run it is replaced with the actual value of the attachment path.